Most of us have been confronted at one time or another by a person asking us for a hand-out. These request come in various forms. Sometimes it’s a homeless person on the street. Sometimes it’s a woman in the parking lot of the grocery store. We often see panhandlers standing at busy intersections seeking money from those waiting for the light to turn green. Giving money to, or volunteering at a local homeless shelter or food pantry might be one way to help. Organizing an outreach program specific to your neighborhood through your church may be another way to help. 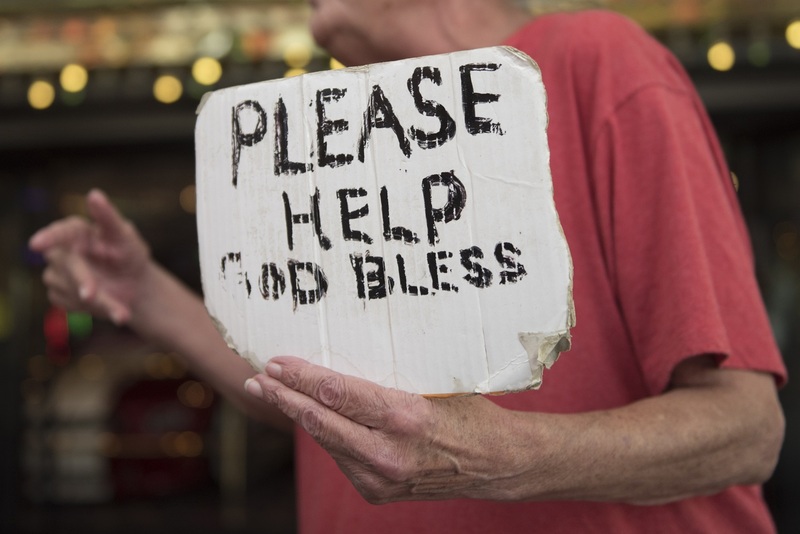 In the case of the panhandler, the best way to love your neighbor as you love yourself may be to seek out a program that is a trusted sound investment. God puts panhandlers in front of us for a reason.